As a writer, being published is an incredible honor and accomplishment. Below are the publications I have been blessed to be a part of. "Commended for Faith - Not an Outcome"
When it comes down to it, our ultimate goal as followers of Jesus is to be faithful no matter what. If we become so focused on what we produce, on what goals we are accomplishing (or not accomplishing) in our lifetime, we not only rob ourselves the joy of enjoying the process, but we run the risk of losing sight of our purpose; to make Jesus' name known. "It’s easy to be hospitable when we’re prepared for it, but Jesus doesn’t command us to love one another when it’s suitable for us; He says to love one another. Period. 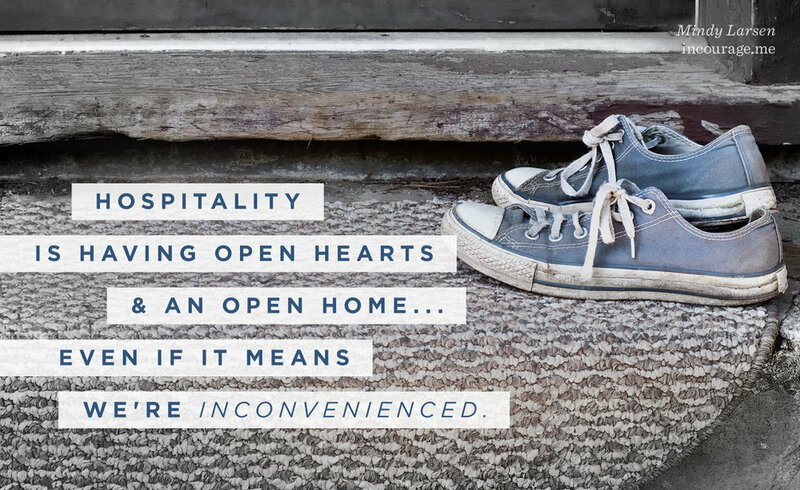 Sometimes hospitality looks like a beautifully planned dinner party, but I’m discovering that it can simply look like a sweet little sign on the guest bedroom door welcoming unexpected guests." "What to do when Friendships Fail"
When we’re struggling, it’s so easy to be fixated on our trouble – the lost job, the broken friendship, the pain of singleness, anxiety, or the strained marriage– and lose sight of the good that lies in front of us. In John 16:33, Jesus says, “In this world you will have trouble…” There’s no if about it – there will be trouble. But that’s not the end of the statement. Jesus continues on to say, “But take heart! I have overcome the world.” With Christ, we have the assurance that although there will still be trouble in this world, there is also hope knowing that He has overcome all of it. Knowing this, we have a choice in how we can respond in light of trouble. We can live with our vision so convoluted by our struggle that all we see is pain OR we can use our struggle as the lens through which we focus on the goodness of our Savior. "How to Operate out of Abundance"
"The Lord does not give to us as the world gives because He gives 100% without restraint. There’s no level of “if you do this, then you’ll get this.” He doesn’t dose out his goodness at random intervals depending on where we are or what we’ve done. He blesses us in all things, at all times, not as the world dictates. With Him there is no such thing as sparingly; He is all about abundance." "Seeing the beauty of this finished project was so encouraging for my soul because it was a tangible, visible example that hiccups, breaks, or delays in execution will not affect the outcome; all the hard work will lead to completion . Philippians 1:6 says, “He who began a good work in you will carry it to completion until the day of Jesus Christ.” It doesn’t say, “He who began a good work m ight carry it to completion,” or, “He will start a good work;” the scripture says he WILL carry it to completion." 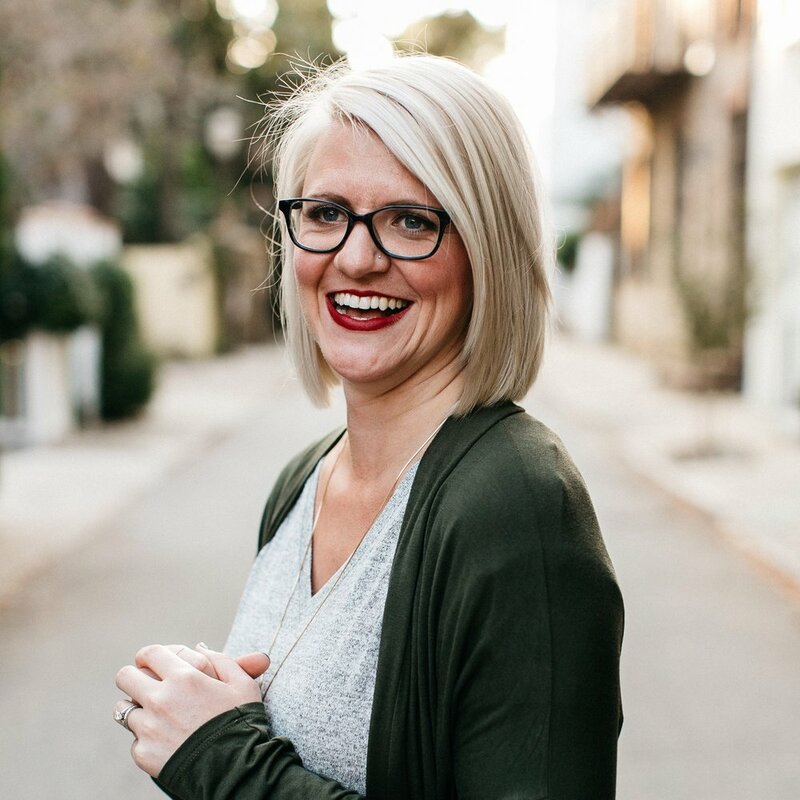 Devyn Mollica, Milwaukee-based videographer started the Influential Women series; a series of blog posts whose goal is to help women realize that influence comes in all shapes and sizes. I am so honored that Devyn reached out and asked me to be a part of the series. Head to this post, where you will hear more about who I am, why I write, and how I hope to impact my community. "The Friend who Exceeds Expectations"
"Last summer I was a sad song stuck on repeat. Wrought with loneliness, over and over again I cried out to God asking, "Where are my deep friendships?" Absorbed by my longing for perfect depth, discontent descended like a fog over my relationships. I was so consumed with what was missing that I failed to recognize that our heavenly Father is the friend who exceeds expectations." "Just as the sun is not overtaken by a cloudy day, our God cannot be overcome by darkness. Through Christ’s victory on the cross, no evil stands a chance. But we can’t sit idle. As followers of Christ, we need to be active participants in the battle and bring light into the darkness." "God spoke truth into my heart and I realized that I couldn't raise one hand to praise Him and slam a beer with the other. He helped me realize that if I really wanted to live for Him, I needed to quit the double mentality and dedicate every corner of my life to Him. I needed to be all about Him." I had the pleasure of editing Nourished, a cookbook written by Natasha Red. It is full of 30 delicious recipes (we LOVE the BBQ enchiladas) and stories that encourage you to get into the kitchen. To read the inside scoop on the book and interview with the author, click here. "Like a thick fog, destruction seems to have overtaken our world. From the attacks in Paris, to threats against the US, a desperate need for hope and true joy is imperative. Much more than a re-telling of the Christmas story, that’s what this passage provides – truth that none of the darkness in this world can overtake us, for Jesus, the great joy, the savior of the world has overcome." "Kicking Fear to the Curb"
"Making Him supreme and giving Him control is what makes life different; that's what makes us FEARLESS." looking for a writer, editor, or interested in collaborating?